Don’t believe the rumors. Teenagers are remarkable people. We are currently parenting teenagers numbered three, four and five. It’s an honor and a privilege to watch a child transition into an adult. Messy at times, yes. In a thousand different ways. 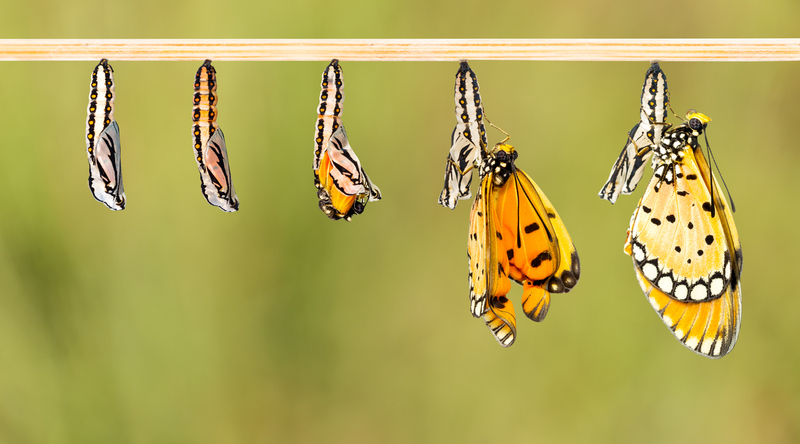 But the change that takes place is no less a miracle than the butterfly sleepily emerging from its cocoon or the tadpole sprouting legs and lungs while transitioning into a frog. Metamorphosis is marked by rapid growth and a substantial change in physical appearance. Hormones are the guiding force, but the environment plays a significant role in development. True for butterflies. True for frogs. True for human beings. Our young people navigate the diverse terrains of multiple environments every day: School. Neighborhood. Home. Church. Sports teams. The list goes on. Each environment has a distinct culture and message. Each has the capacity to influence how a child views the world and the role he plays in it. For good or for evil, the heart is ultimately won on the battleground of imagination. The most powerful weapon in our parenting arsenal, aside from prayer, is the ability to capture and influence the imagination of our children. Too often, I fight with lesser weapons. We’ve made plenty of mistakes in parenting, not the least of which is to default to a list of well-intentioned parenting clichés: Work hard. Serve others. Live with integrity. Be kind. All are reasonably helpful mantras, yet they rarely reach the heart of a child – and the heart is where real change happens. When I get tired, I default. When I don’t make the time to listen well, I default. When don’t have the emotional energy needed to pursue the heart of my child, I default. My scripted answers leave only faint impressions rather than grow and shape my child’s soul. Yet in spite of our parental shortcoming, there is hope. We have a Father who parents us, and our children, well. One who speaks daily through the stories we encounter – in the lives of people and through the pages of great books. 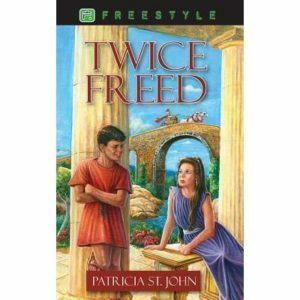 We had been reading Twice Freed by Patricia St. John. It’s the story of Onesimus – a slave who eventually runs away from his kind master, Philemon, to gain the freedom he’s so desperately yearned for. Yet rather than finding peace and contentment, Onesimus discovers that he can’t outrun bitterness. It had become the relentless master of his heart. The chains of defiance and hard-heartedness are heavier and more binding than any physical chains he’d ever been forced to endure. My son had been listening. The story had sunk down and found a place in his heart. In the early chapters of Twice Freed, Onesimus journeys to Ephesus in order to see the unveiling of the great goddess Diana. He is fueled by the fascination of being in the presence of greatness. He wants to be a part of something much bigger, and much more exciting, than his everyday life. At first Onesimus only looked at the pillars and the glowing colours, at the great staircase cut from one gigantic vine from Cyprus, at the famous old altar and the draped curtains, at the beauty of the last light. But the light was fading now, and he began to be aware of what was happening in the dark. He looked at the faces of the men who lounged near him at the entrance of the Temple, and he felt afraid, for they were evil sin-seared faces, the faces of criminals and murderers, clinging to their sanctuary. He edged further into the darkness to be nearer to the worshippers, and then he felt still more afraid. Something was happening he could not understand. The quiet mutterings had grown to a kind of hysterical screaming and the whole crowd was becoming frenzied. The curtain was being drawn up inch by inch, and in another moment her glory would shine on him, and he would forget the cut-throats and the rogues and the sickening smell. Cool beauty and light would flow to him, and it would be spring in his soul. As I read, my voice cracked, then softened. It was no longer Onesimus whom I pictured, but one of my own children. The scene was no longer a temple from long ago, rather it became a dark room filled with danger that was camouflaged as a good time. Or a destructive relationship. Or one of the limitless faces that evil wears to draw us away from what it true and good. But the story wasn’t over yet. As Onesimus continues to make sense of his experiences, his mind eventually lingers back to a noble young girl he had befriended. The vibrant memory of the girl’s goodness had permeated his imagination. Eventually, the light and beauty that shone through her exposed evil for what it truly was. The truth had been imprinted on Onesimus’s soul and wooed him to the Source of all that is Good. As our children transition into adulthood, we can’t (and shouldn’t) protect them from the darkness they’ll inevitably encounter. Yet we can equip them – with prayer, wisdom, honesty, and with a healthy diet of story to that sinks down deep and feeds the soul. With images and characters they’ll carry into their own battles of life. With the scent of ancient memories, not yet experienced, yet never forgotten. Memories that can woo them back – through confusion and distortion and darkness – to the Source of all that is Good. … and many more I haven’t read yet, I’m sure, are delightful and valuable for all. I read these books as a girl, and am now reading them aloud with my kids. _The Tanglewood’s Secret_ really got into my 9-year-old son’s heart and mind and prompted his first real spiritual conviction and interest. So much good conversation came out of that book. I’m looking forward to sharing _Twice Freed_ with them in the coming year. These moments give fuel to a mom’s heart! Thankful with–and for– you!